Founded in 2007, Theatre Ad Infinitum is an international ensemble of theatre-makers based in Bristol, that develops new and original theatre for diverse audiences. Lead by Co-Artistic Directors, Nir Paldi and George Mann, they have been creating and touring critically acclaimed, award-winning productions for 10 years (Medea, Pink Mist and Light). We chat with multi award-winning George Mann. 1. Theatre Ad Infinitum is celebrating its 10th anniversary, could you recall how and why you came to set up the company in the first place? A. Nir Paldi and I moved to London in August 2007 straight from Paris following our Ecole Jacques Lecoq training – Nir graduated that year, I had graduated from the school the year before. I had loved and hated Paris all at once, it’s a complex place, and following my training I was acting here and there (usually playing l’etranger –the foreigner because of my very un-French accent) and I attempted to set up a theatre company – but it didn’t work. I couldn’t get past the bureaucracy, my nationality, or the men in their 60’s who were the gate keepers to every theatre in Paris that can help theatre makers start out. A weekend visiting friends in London reminded me how vibrant, exciting and possible the London and UK theatre scene is (was?) and I knew we had to be in London. A month later we were leaving our tiny flat in Paris for good. The final project at the Lecoq school is called la commande, you are handed an envelope and in it there’s a sentence or phrase, and you have to use it to create a piece of theatre. My envelope contained a small piece of paper and on it read: derriere le mirror (behind the mirror). From this I devised a short piece about a man, his fiancée and his reflection who is hell bent on disrupting his relationship – the reflection comes through the mirror and starts pretending to be him and makes an absolute mess of his life: of course, it is him, the side of him he wishes didn’t exist… It was a very comedic piece using slapstick and gobbledygook and inspired by the response to it in Paris, I set about making the full-length production as soon as I got to London. To do that I needed a company – what I had spent over a year in Paris trying to do – and I set one up within a couple of weeks. The name Ad Infinitum really appealed – not so much the ‘endlessness’ definition (a concept that would terrorise any theatre goer), rather the idea of ‘limitlessness’, and infinite possibility. 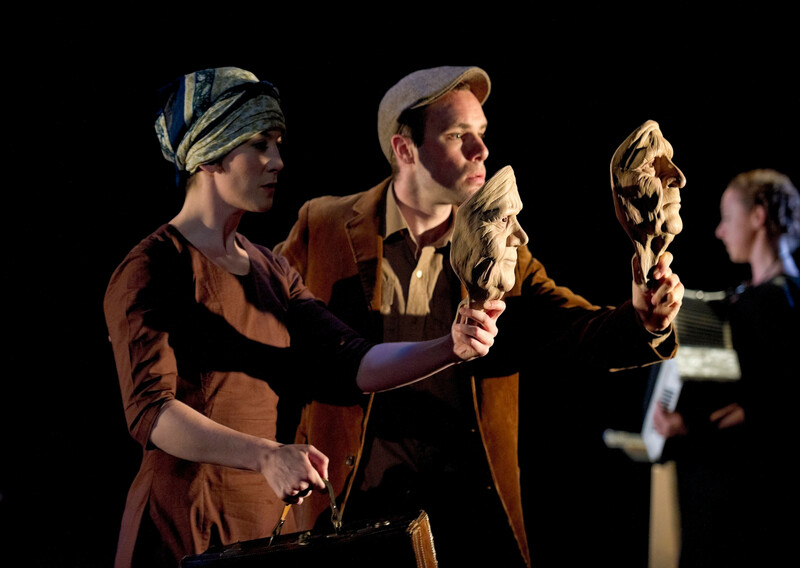 In Oct 2007, two and half months after arriving in the UK, we opened Ad Infinitum’s debut, Behind the Mirror, at the Blue Elephant Theatre in Camberwell, London, and didn’t look back. 2. What would you say have been your biggest influences? Working and saving so I could spend months travelling and working in Namibia, South Africa, Botswana, Thailand and Ukraine across 2 years before I began University; my studies in theatre at Royal Holloway UOL introduced me to some incredibly inspiring lecturers, friends, and to diverse theatre-making techniques from around world opening my mind to all sorts of possibilities from Stanislavski, through Brecht and Grotovski, Gardzienice, Japanese Noh Theatre, Chinese Opera and of course, Lecoq. Seeing Complicitie’s work; training with Gardzienice in Poland for a few mind-blowing weeks; watching Theatre O’s The Argument – all had a big impact. But my most profound influence has to be Jacque Lecoq’s 2-year pedagogical training. 3. In your 10 years what would you say is your proudest moment? 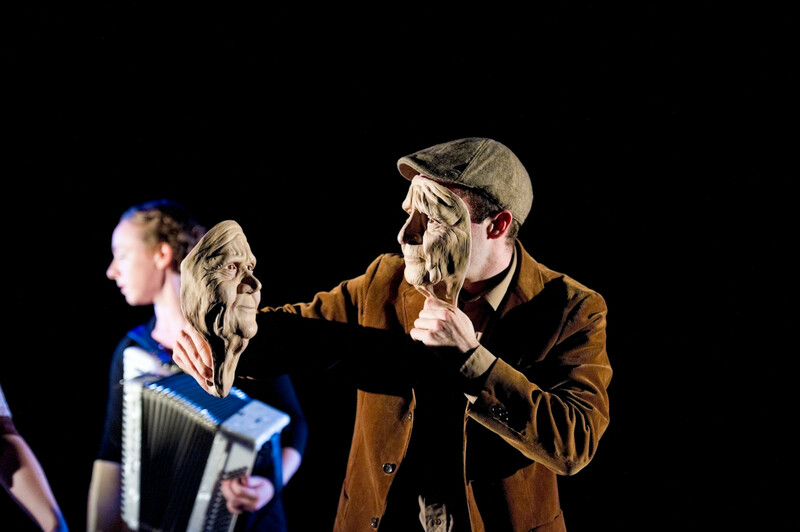 Opening Translunar Paradise at the Edinburgh Festival 2011 and winning the Quercus Trust Award in association with the National Theatre to become the new Associate Director at Bristol Old Vic in 2015. 4. What makes your relationship with Co-Artistic director Nir Paldi work? Trust, mutual respect and admiration, hard work and love. 5. It seems Theatre Ad Infinitum have always been interested in questions of social justice and politics, why is that of particular interest? After our first two productions began establishing the company’s work, we started asking ourselves – why are we making theatre? And what do we want to say as artists? We had a platform that could reach people – and we felt it was important to provoke our audiences, make them think, start debate, about the themes and issues that concern our society, and being an international company, the world at large. Social injustice and politics were things we felt very strongly about and in 2010, three years after opening the company, our country was in the midst of dealing (or not dealing) with the financial crisis, the coalition government, policies that would begin devastating our welfare state and demonising those who use it – to mention just a few things that were troubling Nir and I as artists. From that point onwards, our work always explored social-political themes, The Big Smoke explored mental health, depression and suicide, Ballad of the Burning Star examined the Israeli-Palestinian conflict, Light imagined a future dystopia in which the state could police thought through nano-implants in the wake of the Edward Snowden mass surveillance revelations, and Bucket List revealed the humanitarian crisis brought about by neo-liberal capitalism suffered by the poorest communities of our world –our story was set in a Mexican boarder township. Translunar Paradise, which returns to Bristol after 5 years, and continues to tour 6 years after its premiere, is about love, loss and bereavement and looks at the isolation of the elderly, loneliness – especially following the death of a loved one, and evokes the pressing issue of social care, or lack of, currently faced by so many in our country after years of cuts. 6. You vary styles so much from show to show but what would you say defines a Theatre Ad Infinitum show? Yes – its actually part of our mission – to make something completely different each time we create a new piece of theatre. I would say we have a signature ‘Ad Infinitum’ stamp on all our work – it’s always physical using the body as the principle theatre-making tool, devised and written through a rigorous process of improvisation, and unites story and form to explore social-political themes in an unexpected, qualitative way. 7. 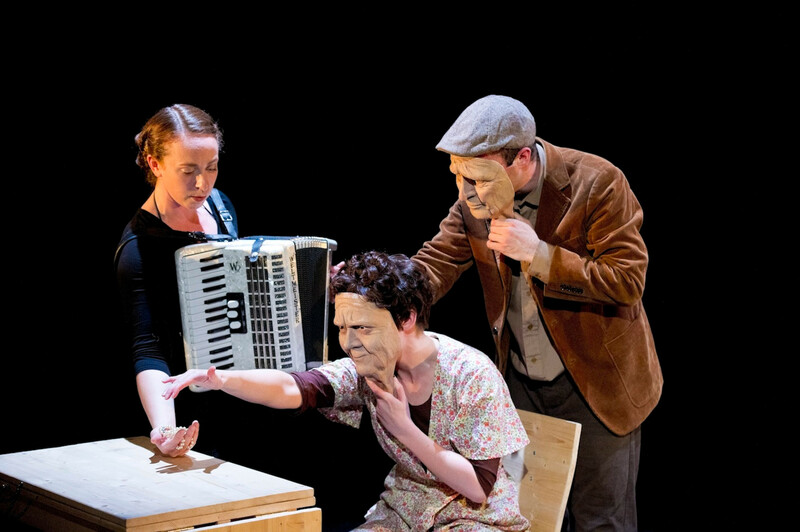 Mime is an incredibly important element in many of your productions. How do you see the form developing in the future? 8. You regularly run workshops, master classes and outreach programs. What is your message in such sessions? It’s largely about sharing our rigour and approach to theatre, our discipline and the techniques we use to make theatre, and about trying to liberate the artists who take part – to ask them, as we ask ourselves: what do you want to say? This is important not just because it helps theatre makers understand what they think is important to put on stage right now, but it also encourages artists to look outside themselves, beyond oneself – and to see that the possibilities for theatre making are endless – we only limit ourselves. 9. You’ve won many awards through the years for your productions. Why do you think you’ve been so successful? That’s a difficult question to answer. Perhaps its because we always put our work through very tough rigorous processes. We make work across 12-15 weeks, and stagger the creative process in 4-5 week stages separated by a month or more, and during each making phase we open the work up to audiences, professionals and trusted colleagues asking them to tell us honestly what doesn’t work. This allows us to iron out all the weaknesses, and also to genuinely understand how our audience perceives the work: do they understand what we want them to? Do they see what we see? Do they feel how we hope they will feel? Does it make them think? Etc. If it doesn’t then we can go back into rehearsals and try over and over again until we find what we’re looking for. Not every project can be a huge success, but I think this process ensures an inescapable humility and ensures, if nothing else, a certain quality in the work. 10. Finally, what ambitions do you have for the next 10 years? 1. We moved to Bristol about two years ago – and we LOVE it, we have a dream about running a venue one day and want to keep building our following in the city – Bristol has one of the warmest and most generous audiences we know, and a thriving arts community, as well as being a brilliant place to live. So we were thrilled to have recently become an associate company at Bristol Old Vic – and there are lots of exciting conversations happening – here’s to the future! 2. Creating change: Looking around the world at the moment doesn’t inspire much hope… this is why Nir and I believe in taking action, and doing what we can to make the world a place we want to live in. I know it sounds idealistic, but we want to do something, we want to try – and making theatre is part of how we do that. The next ten years could be very challenging times to live in, and part of our ambition is make sure we do our bit, to hold our leaders and our society to account – to ask the right questions, and reach as many people as we can with our theatre. We hope to reach more people, make a profound impact with our work, and get people thinking, talking and taking action. Theatre Ad Infinitum returns to the Tobacco Factory from 4th – 8th July with Transular Pararadise. They will then be taking the show to the Edinburgh Festival Fringe at Pleasance Courtyard 2-28 Aug, as well as taking Odyssey. To find out more about the company itself then please click here. Tagged 2017, bristol, dance, george mann, interview, Kevin Mcgough, mime, movement, the fix, the fix magazine, theatre, theatre ad infinitum, tobacco factory, whats on. Bookmark the permalink.